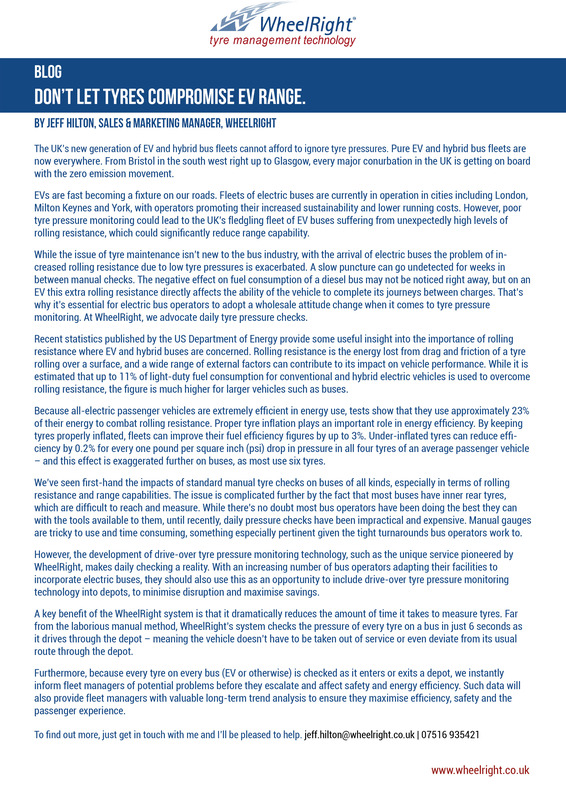 The UK’s new generation of EV and hybrid bus fleets cannot afford to ignore tyre pressures. Pure EV and hybrid bus fleets are now everywhere. From Bristol in the south west right up to Glasgow, every major conurbation in the UK is getting on board with the zero emission movement. EVs are fast becoming a fixture on our roads. Fleets of electric buses are currently in operation in cities including London, Milton Keynes and York, with operators promoting their increased sustainability and lower running costs. However, poor tyre pressure monitoring could lead to the UK’s fledgling fleet of EV buses suffering from unexpectedly high levels of rolling resistance, which could significantly reduce range capability.